In addition to Nina Kost‘s new National Record in the women’s 50m freestyle, which you can read more about here, there were several other key performances that wrapped up the 2019 Swiss Long Course Championships. Among them was Jeremy Desplanches solid swim to take gold in the men’s 200m IM. clocking 1:58.64 in the morning heats, Desplanches already slid into the record books with a new meet standard. But, the 24-year-old managed to slice off a little more time, ultimately registering a winning result of 1:58.22 to stand atop the podium after tonight’s final. 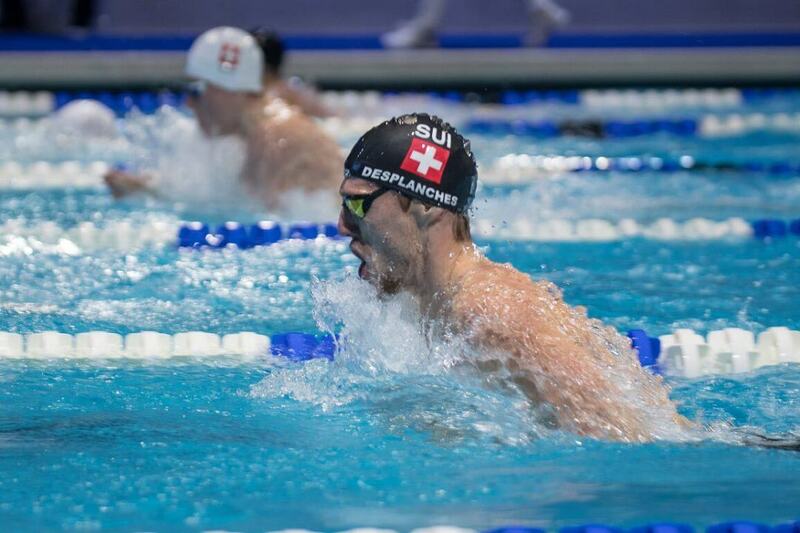 Desplanches holds the Swiss National Record in 1:56.86, a time he produced in the semi-finals of the 2017 World Championships. At that meet in Budapest, he ultimately finished 8th in the final with a slower mark of 1:57.50. He took the 2018 European Championships title in a time of 1:57.04, so the fact he’s just over a second off of that outing here is a good sign of things to come for Gwangju. Desplanches was 1:58.61 in Nice, so tonight’s effort registers as his season-best. Antonio Djakovic took the men’s 800m freestyle in 8:13.10 to wrap up his freestyle sweep. He took the men’s 100m, 200m and 400m freestyle events earlier in the meet, with this time being his least impressive. At just 16, however, Djakovic has presented himself as a rising star among the freestyle ranks. You can read more about his head-turning outings in the previous days’ recaps linked above. Maria Ugolkova repeated as the women’s 200m IM winner from last year, clocking 2:12.85 for the win She holds the Swiss National Record in 2:10.83.